For experienced riders, nothing is better than riding to the beach on one of our 49cc motor scooters. With the wind cooling you down and the sun reflecting off of your sunglasses, you’ll make the memories that will make you smile for years to come. Renters and drivers must be over 18 with a full, unrestricted drivers license and must provide a major credit card (not a debit card) to rent. We don’t reserve or deliver scooters so come into our shop to rent one today! Florida law requires eye protection so be sure to bring your sunglasses with you. 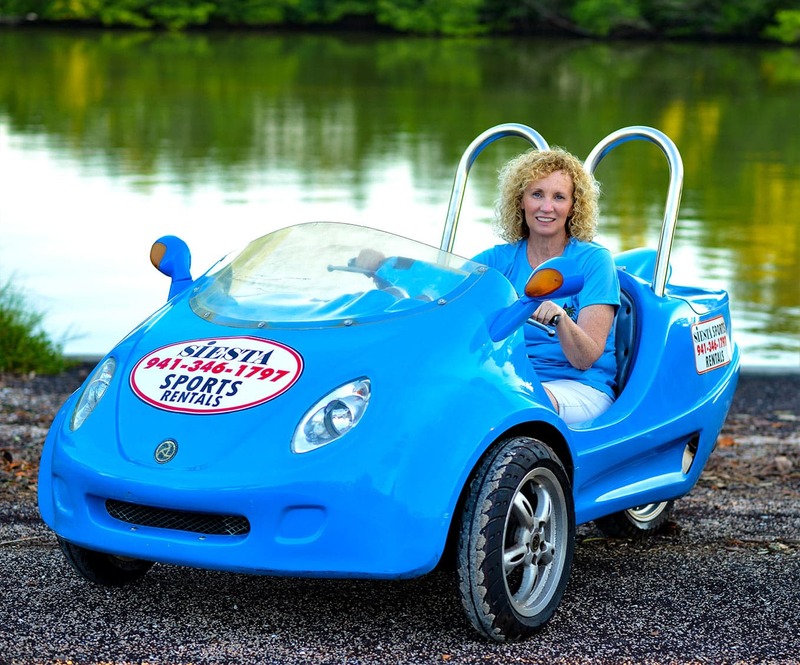 You can’t help but grin when you explore Siesta Key in a 2 seater Scooter Cars. Our Scooter Cars must stay on Siesta Key. Renters and drivers must be over 18 with a full, unrestricted drivers license and must provide a major credit card (not a debit card) to rent. We don’t reserve or deliver scooters so come into our shop to rent one today! Florida law requires eye protection so be sure to bring your sunglasses with you. 6551 Midnight Pass Road Siesta Key, Florida.